Studying in Estonia combines learning in one of the most technologically advanced societies in the world with a high quality of life. It’s no surprise then that every year, thousands of students study a degree in Estonia. Today, the Estonian education system is split into three cycles: Bachelor’s, Master’s and Doctoral studies, with the latter two offering a multitude of programs in English for foreign applicants from across the globe. The education system also heavily cultivates the entrepreneurial spirit of those who choose to study in Estonia, leading to the nation’s unique distinction of being one of the start-up capitals in the world, with Estonia having been the birthplace of premier companies such as Skype and TransferWise. The country’s status as a rising star in tech development and quality of life has convinced thousands of students from both European and non-European countries to choose a study in Estonia, with more than 3,800 foreign applicants recorded in 2016 - a number which grows steadily every year. While the cost of pursuing a study in Estonia will depend on the type of programme, the academic institution, and country of origin, Estonia is one of the few European countries who offer the privilege of studying for free, provided that the programme is taught in Estonian. Programmes in the field of Medicine, Business, Law and Social science are the most expensive studies to take up in Estonia. However, there are scholarships available for those who need financial assistance with their Estonian-based studies. Estonian culture is shaped by decades of foreign rule, the influences of its European neighbors and its own indigenous traditions. The Estonian language is closely related to Finnish, with a distant relation with Hungarian. Other linguistic influences include German, Russian and Latvian. Estonians, who are very prideful about their heritage and motherland, are generally curious of other cultures and are extremely open to other people’s traditions as well. There are no study visas issued in Estonia. Instead, those who wish to take up a study in Estonia will have to apply for a temporary residence permit, as well as a visa to enter the Schengen area if they’re not from the EU. Entry requirements to Estonian universities heavily vary across academic organizations and programmes. There are, however, general rules that are constant among the higher education institutions. 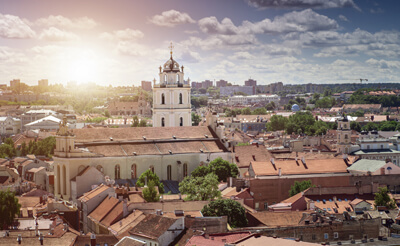 Those who study in Estonia can either choose to take advantage of dormitories or hostels provided for by their university or rent a private apartment in the city. In the end, living costs will depend on one’s lifestyle and type of accommodation. However, one neat thing about being a student in Estonia is that public transportation is free when you’re studying in the Estonian capital of Tallinn.